Friday 6 Oct 2017, 6.00pm, Presbyterian Church Hall, 91 Tenby St, Wanaka. The MacDiarmid Institute for Advanced Materials and Nanotechnology. Speakers: Professor Cather Simpson, Dr. Michelle Dickinson and Professor Penny Brothers. 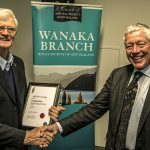 The MacDiarmid Institute is delighted to bring its regional lecture series to Wanaka again. In this year’s talk ‘Women in Nanoscience; Little Materials, Big Stories’, Professor Penny Brothers, Professor Cather Simpson and Dr Michelle Dickinson will each tell their personal story about how they came to be a nanoscientist, as well as explain some of their research. MacDiarmid Deputy Director for Engagement, Associate Professor Nicola Gaston, said the talks would give some context to what it is like being a woman in the physical sciences (physics, chemistry or engineering) – an area of science largely populated by males. Associate Professor Gaston said there had been considerable interest in the lectures. “Despite decades of government effort aimed at getting girls into science, the stats show that women are still significantly under-represented in the academic career structure, not only in more senior ranks but also at the research student level. I’m happy to be able to say that a third of MacDiarmid Institute researchers are women – even at the most senior levels – but while that’s better than usual in these disciplines, it demonstrates the persistent representation gap. 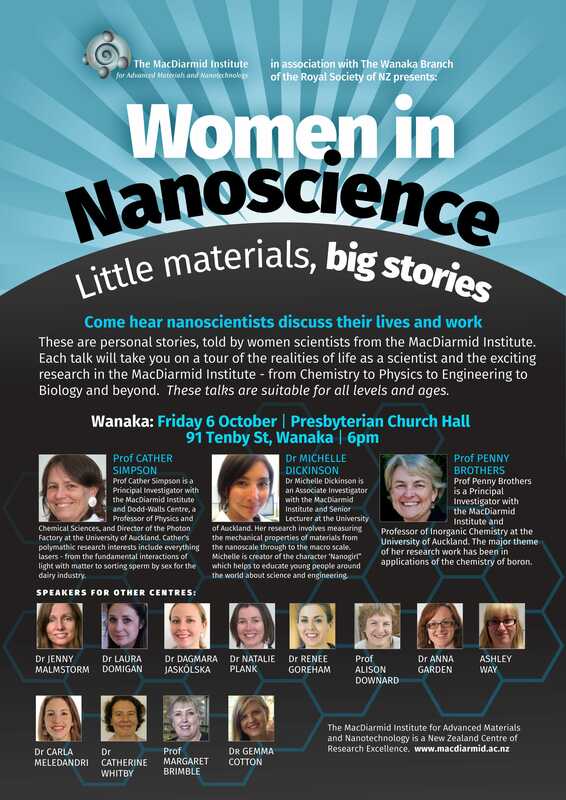 The talk is part of a wider MacDiarmid regional lecture series, which this year sees 15 MacDiarmid Institute women nanoscientists talk at six centres around the country.